Oriental Strings is a virtual sound module app for oriental keyboard players and for musicians who simply want to resemble the typical sound of the Middle East in their songs. Connect an external MIDI keyboard to your iPad, iPhone or iPod touch by using the Apple USB camera adapter or another adapter supported by Apple�, or launch Oriental Strings as virtual instrument directly within your favourite DAW app on your iPad! 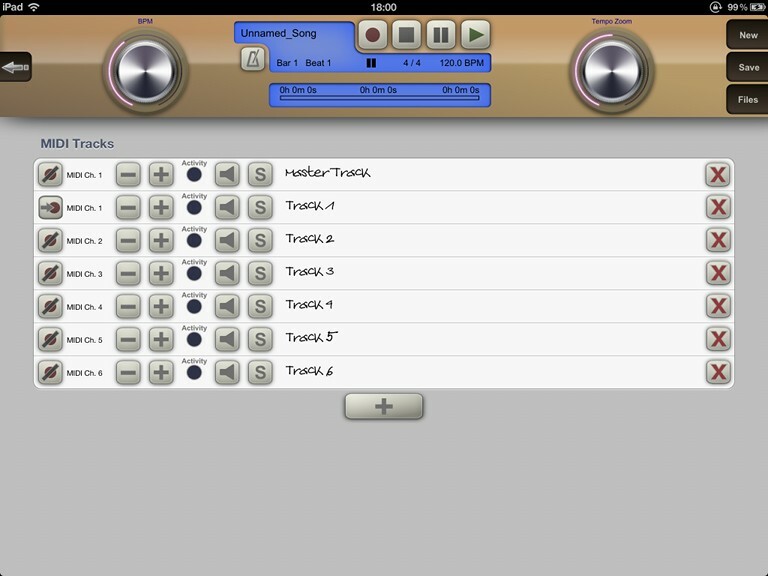 This app supports Apple's Audio Unit v3 plugin standard (iOS 9 or higher), Audiobus (iOS 7 or higher), Apple's Inter-App Audio system (iOS 7 or higher), as well as the JACK Audio Connection Kit (up to iOS 6.1.3) for audio & MIDI connections from/to other audio apps ! 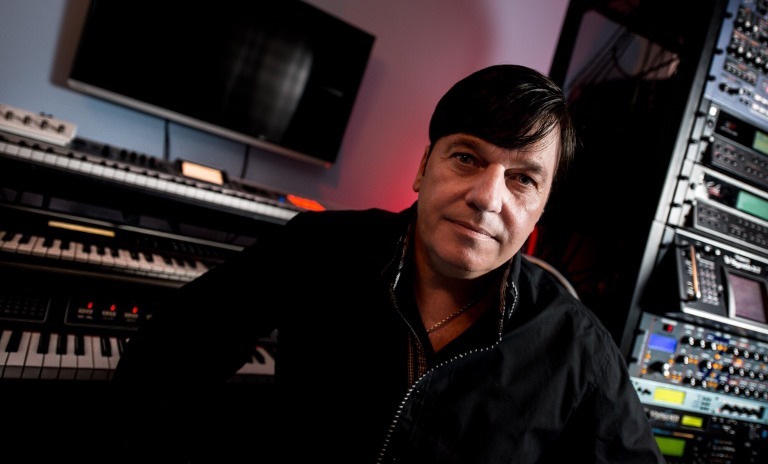 The sounds of this app were once again created by Kurt Ader, who was awarded on the NAMM 2015 winter show as »Best Sound Designer of the Year«. 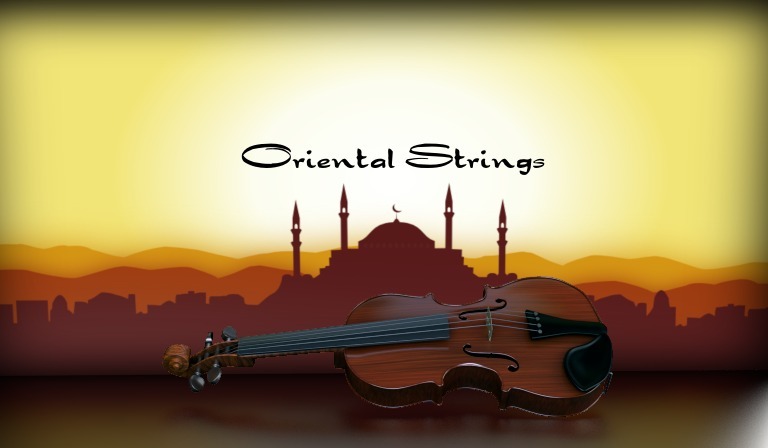 Oriental Strings' sounds were exclusively recorded with players who are professionally dedicated to oriental style of music. 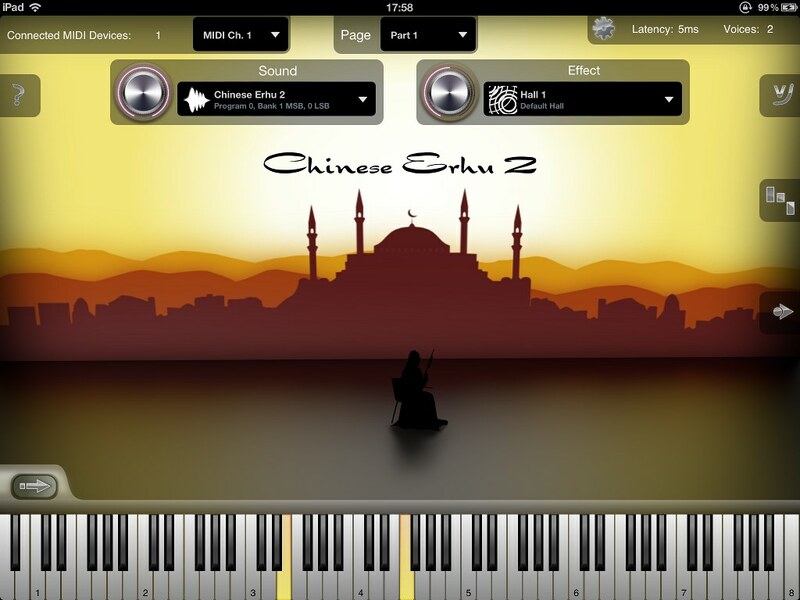 Typical string instrument sounds for the arabic genre are covered by this app. Besides rather exotic instruments like the Chinese erhu, typical western string instruments were used as well, but since the players of the recording sessions are focused on oriental music, those western instruments sound completely different than you might be used to from western orchestra players. There are no in-app purchases in Oriental Strings. Thus all sounds listed above are already available to you after buying the app without any extra costs involved. A detailed review video of Oriental Strings (v1.0.0) by thesoundtestroom.com. Sounds based on high quality stereo sample set. Since this app is focused on oriental style of music, it allows you to adjust the app's tuning system from standard well-tempered scale to any other kind of tuning system. Simply open the scale tuning editor and move individual note's tuning bars with your finger. 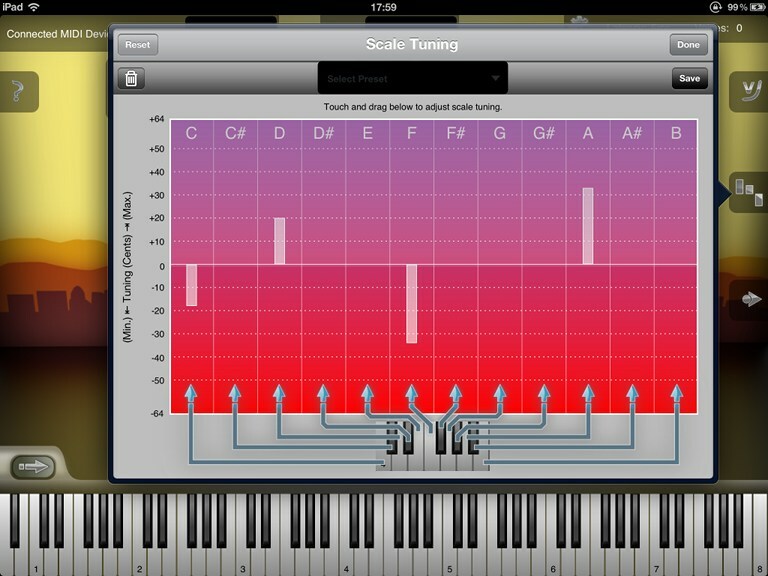 Save your favorite scales as presets and recall them at any time with one tap! 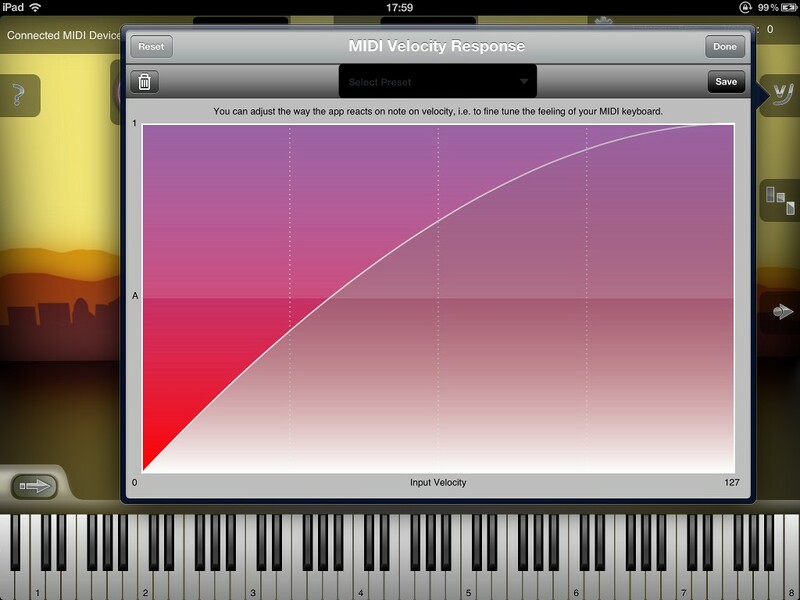 Use the app's velocity curve editor to fine tune the feeling of triggering notes on your external MIDI keyboard. Save your velocity curves as presets, so you can easily restore them in case you are using more than one MIDI keyboard. You are however not limited to the built-in MIDI player / recorder of course. If you prefer, you can also use any other third party Inter-App Audio capable sequencer or DAW app like i.e. Apple's Garage Band for recording your oriental tunes or simply for using Oriental Strings as virtual instrument in your favorite IAA host app. 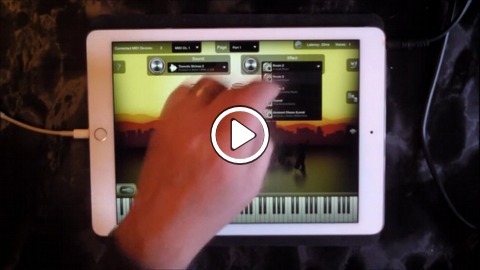 � The adapter and / or the MIDI device you connect must be supported by the iPad / iPhone operating system in order to be able to use it with this app. To our knowledge there is currently no official list of supported devices by Apple. We recommend you to check whether your MIDI keyboard is supported by your iOS version, by using our MIDI monitor app MIDI Wrench, which is free! Oriental Strings is currently available for the following mobile devices. In case you encounter any problems while using this app, please report it to us by using the feedback link above. 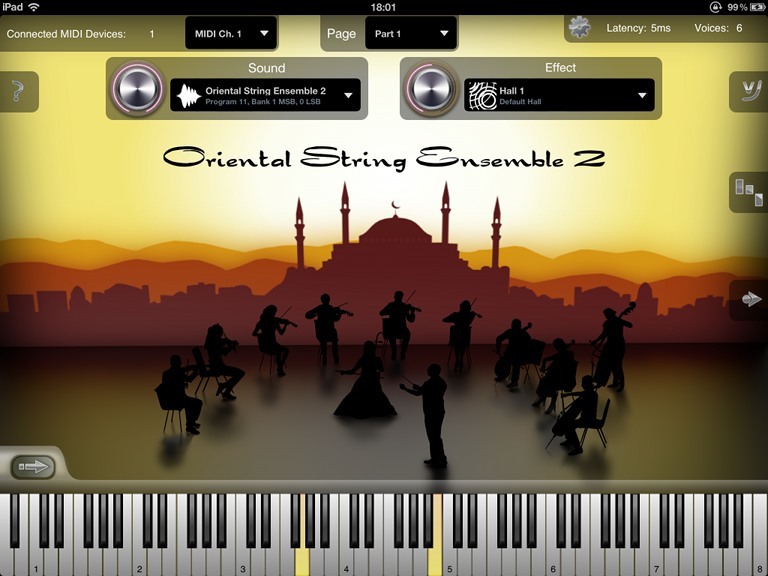 You can get Oriental Strings as universal binary through iTunes from the Apple App Store. You need at least iOS 4.3 or later to be able to use this app. You have questions about the Oriental Strings app? Don't hesitate to write us by using the feedback link above.